Product Details - Material - Plastic wire holder, Capacity -100 ml , Use - Designed in the wellfare of the animal and the use, Suitable-All Breeds Dogs. Product Information - Biba Water Bottle is made of plastic. 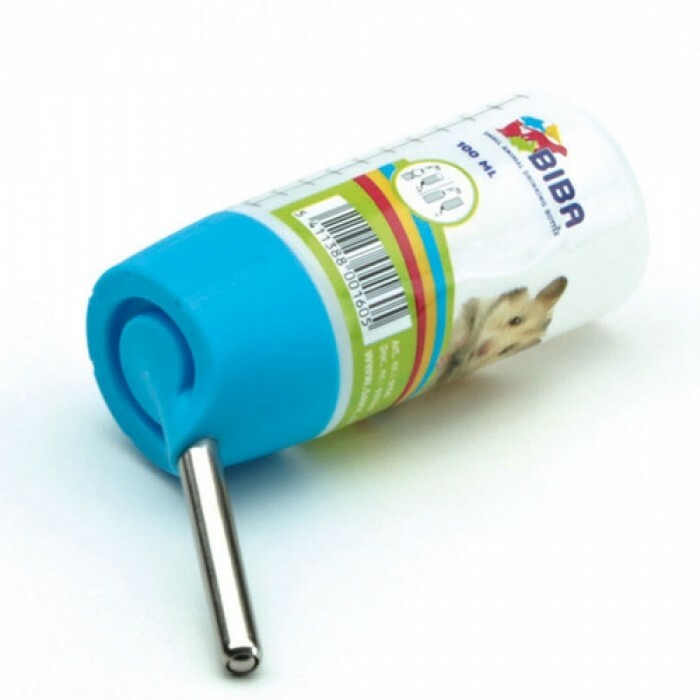 It has a wire holder, through which it can be easily attached to the cage, easy to insert in to the cage to feed water for Hamsters and Guinea Pigs.